Margaretta Forten, an advocate of both women’s rights and abolitionist causes, contributed the poem and possibly the watercolor. Her contribution is a stanza from Irish poet Thomas Moore’s poem “Farewell! But Whenever You Welcome the Hour.” The poem discusses the memory of a friend remaining even after she has gone, like the scent of a rose lingers in a vase. This seems to describe Forten’s own relationship with Cassey, as Forten contributed multiple entries in this album, including one poem titled “Forget Me Not.” “Forget Me Not,” much like this entry, discusses the enduring memory of a friendship after the two people have parted. 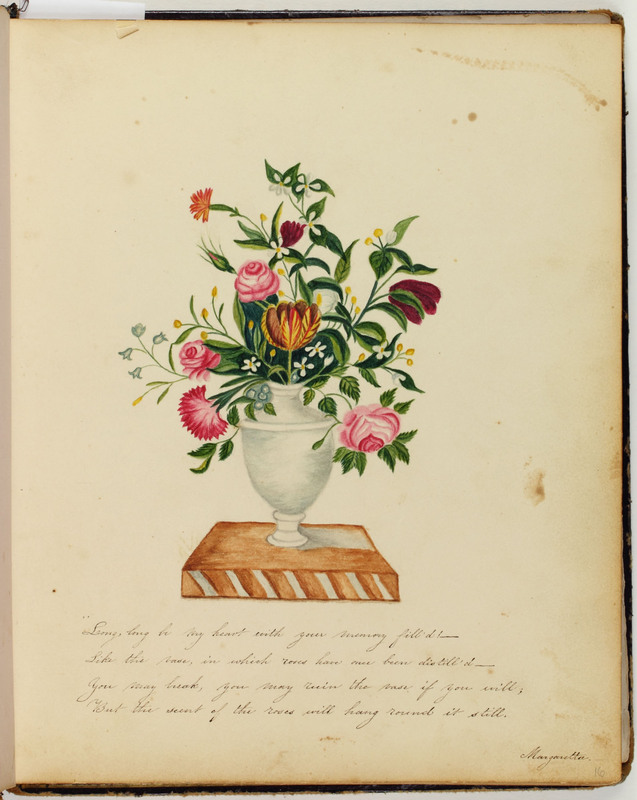 The flowers in this poem symbolize the relationship between two people, and the vase serves to keep the memories contained. The author explains that even if the vase is “ruined,” the scent of the flowers, or the memory of their existence remains. 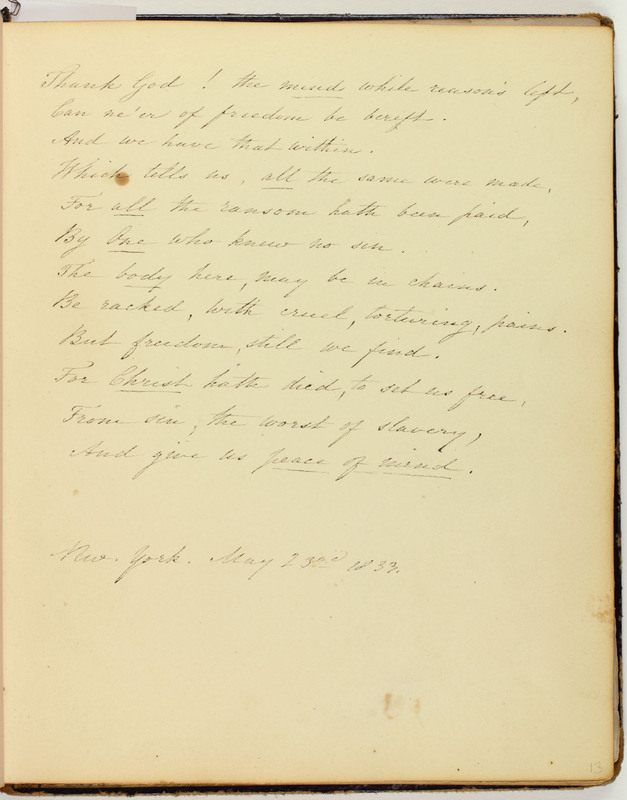 Page 16: Selected from Thomas Moore’s “Farewell! – But When You Welcome the Hour” in The Works of Thomas Moore (Paris: A & W Galignani, 1829).